Long-term care (LTC) insurance rates grew considerably over the past few years. From 2014 to 2015, annual premiums rose 8.6 percent on average, according to the Long-Term Care Insurance Price Index. The unpredictable rises in LTC insurance costs make it difficult for individuals to forecast and plan. However, there are a few tax deductions available that help offset these expenses, and the Internal Revenue Service (IRS) recently announced an increase for the federal LTC insurance deduction in the 2016 tax year. Unfortunately, the deductions are not increasing at the same rate that policy prices are growing. Taxpayers can only take the deduction if they meet certain standards. Eligible taxpayers are those who qualify for itemized medical expenses. (Itemized medical expenses are available to taxpayers with eligible unreimbursed medical expenses that exceed 10 percent of their adjusted gross income.) Also, the date the insurance policy was issued affects eligibility. Policies bought on or before December 31, 1996 are eligible as long as they were state-approved policies at purchase. Policies purchased after this date must have options for "inflation" and "nonforfeiture" protection. Some individuals who carefully plan for future healthcare expenses could make unintentional errors that compromise whether a LTC policy is in force. Our Chapel Hill elder law attorneys review a few mistakes with LTC insurance here. In addition to the federal tax deductions noted above, taxpayers in North Carolina also enjoy a LTC tax credit of 15 percent of the premium cost, up to a maximum credit of $350 annually. The credit remains unchanged between the 2015 and 2016 tax years. This deduction is income-limited and taxpayers should review options with a tax attorney during planning sessions to determine eligibility. Share this page with family and friends to help encourage loved ones to take an active role in preparing for LTC needs. 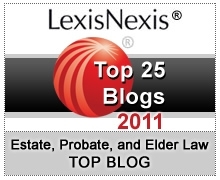 Receive updates about LTC and tax deductions by subscribing to our blog.